Café Emma is one of those places I like to find while traveling, a pleasant stop for a meal or a snack, and some local gossip. Since it was located near my hotel, I popped in here for breakfast on my way walking about Barcelona. 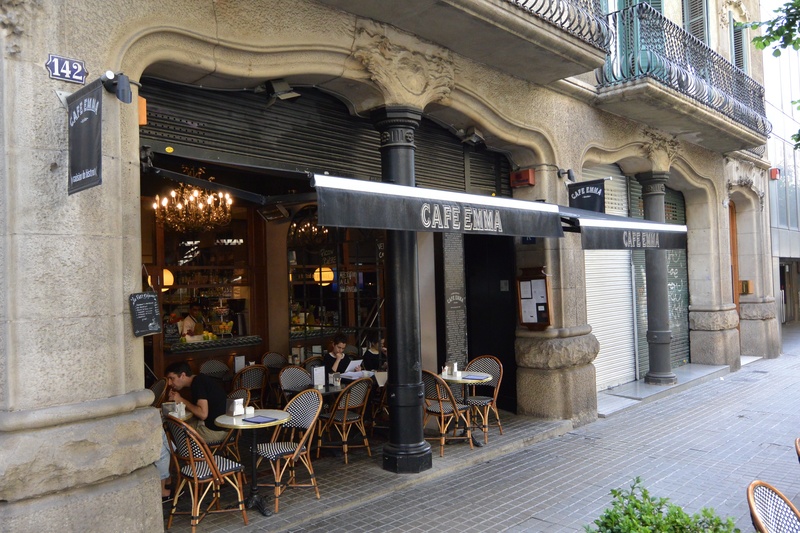 Café Emma on Pau Claris, Barcelona, Spain. They serve typical Spanish style dishes, and over the course of several days, I tried various ones. Window at Café Emma, Barcelona, Spain. 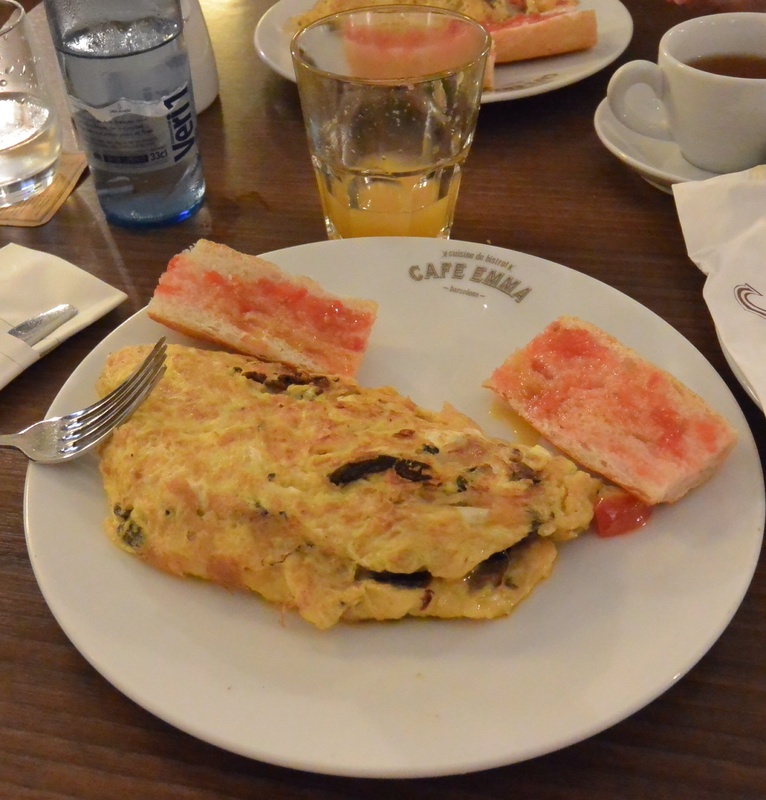 Onion, mushroom, and potato omelette at Café Emma, Barcelona. 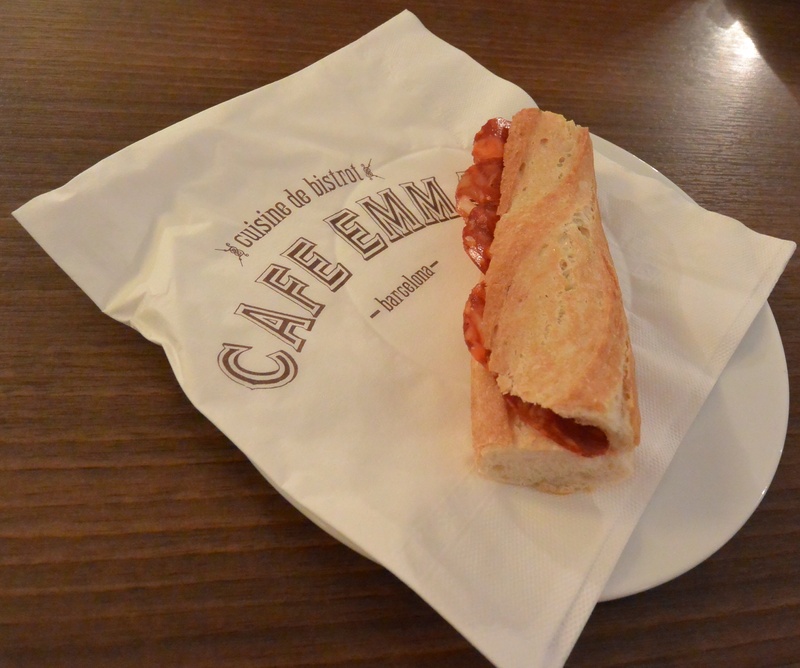 Bocadillo con salchichón at Café Emma, Barcelona, Spain. 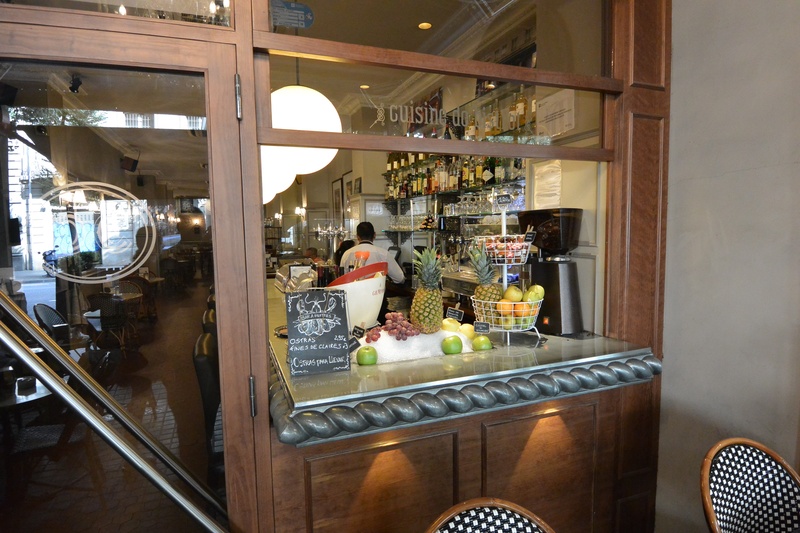 The atmosphere at Café Emma is decidedly relaxed, the service friendly, and the menu what you would expect. Linger and enjoy.